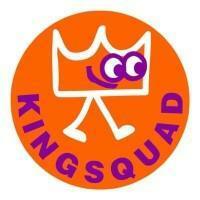 Kingsquad is a club, run on a Friday after school, by The Family Trust and volunteers. The children have been looking at Bible stories over term one regarding how special they are to God and, during term two, Bible stories all about food. We have enjoyed singing, games, learning verses from the Bible and craft. Our membership has increased and it’s great to see how the children from many different year groups play together and enjoy learning about Jesus.